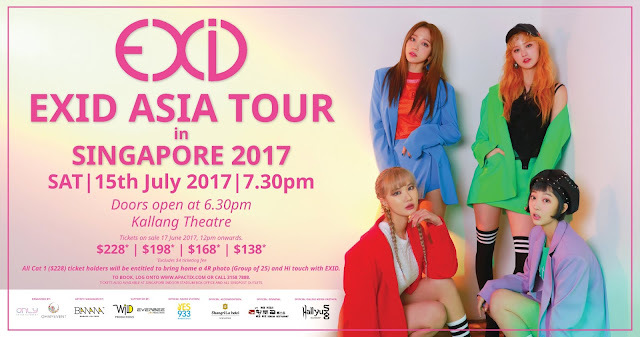 GOKPOP | Exclusive K-News in Malaysia & Singapore: [MTV GIVEAWAY] Stand a chance to watch EXID Asia Tour in Singapore 2017 for FREE! Open to Malaysian! [MTV GIVEAWAY] Stand a chance to watch EXID Asia Tour in Singapore 2017 for FREE! Open to Malaysian! 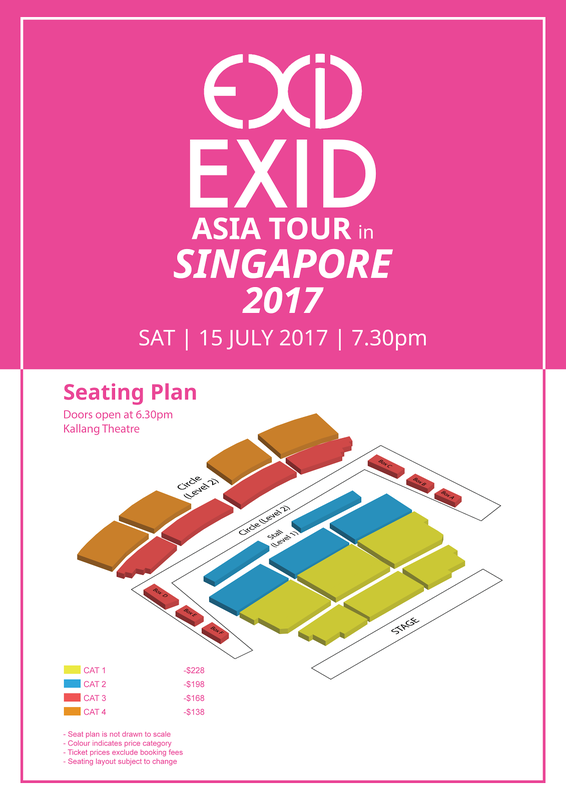 EXID is going to Singapore for EXID Asia Tour in Singapore 2017 which held on 15 July 2017 and MTV is giving 2 tickets to South East Asia fans including Malaysia to watch EXID up close for FREE! 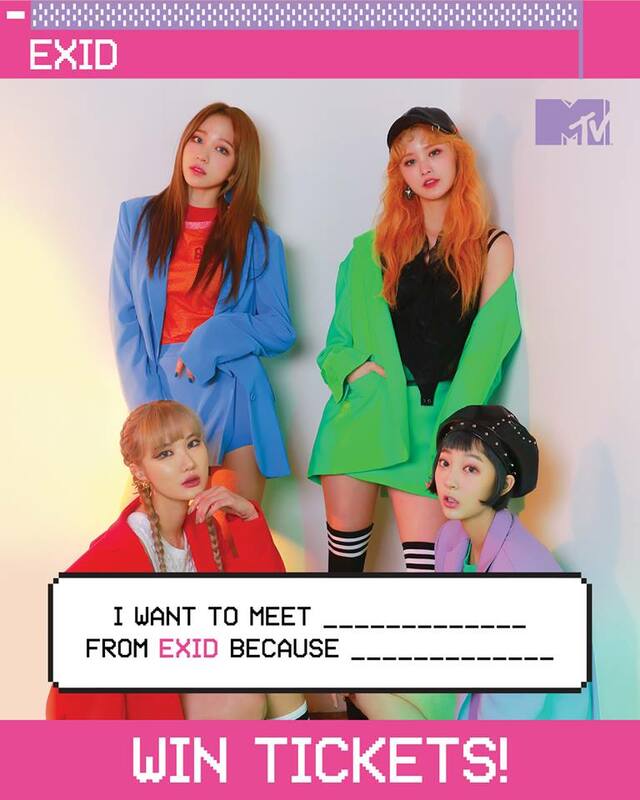 "I WANT TO MEET _ _ _ _ _ FROM EXID BECAUSE _ _ _ _ _"
Ah Yeah~ Don't miss the chance to catch EXID in Singapore for FREE! Hi-Touch with EXID at the end of the Event. To receive exclusive sweet voice of the girls that can be used for ringtones, message tones, alarms.